When you think of Las Vegas, you likely think of the world famous Strip, but did you know that there are many luxury resorts off the Strip that offer great value hotel rates? A true Vegas secret is that there are actually incredibly glamorous and luxurious casino resorts located just off the Strip, where you’ll typically find much lower accommodation rates, cheaper dining options, looser slots and even more generous casino winnings. 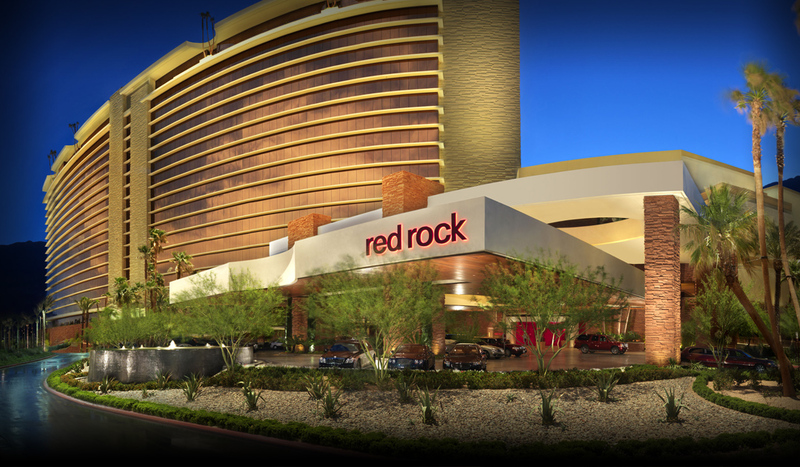 Oozing modern luxe, you’ll find a contemporary yet undeniably glamorous getaway at Red Rock Casino Resort & Spa. Just a short drive from the famous Red Rock Canyon National Conservation Area, this off the Strip resort casino boasts phenomenal views of the Red Rock Mountains and of the Mojave Desert. And inside the casino you’ll find no shortage of entertainment options. With a huge live music venue, a bowling alley and a multiscreen cinema all onsite – this casino has all need for an unforgettable stay. For old school luxury, head over to Green Valley Ranch. This very classy casino resort exudes traditional luxury and you’ll find no shortage of finishing touches here. From its lavishly decorated bedrooms to the sprawling swimming pool and grounds, this is a place to unwind and enjoy. Featuring an award winning spa and several top notch dining options, this resort is a long time favorite with locals and travelers alike. Escape from the hustle and bustle of the Strip at this tucked away desert retreat. 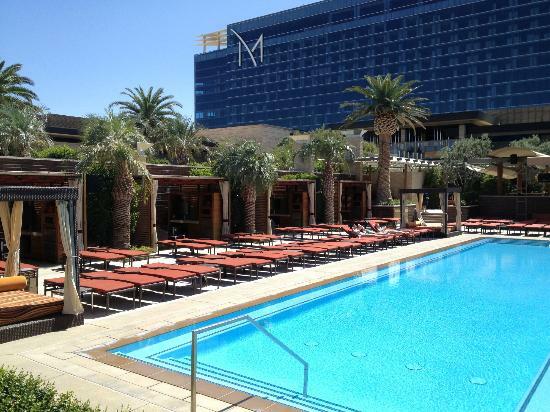 The M Resort Spa Casino is a chic, ever trendy hotel where you’ll find no shortage of entertainment, dining and partying opportunities. Minimalistic in its décor, this is a very hip resort. Catering more to a younger crowd, locals and tourists flock to their epic pool parties in the summer months and their reasonably priced cocktails and dining options. Fun and fashionable, come here to mingle and be seen. For the craziest, wildest Vegas off the Strip experiences, look no further than Palms Casino Resort. 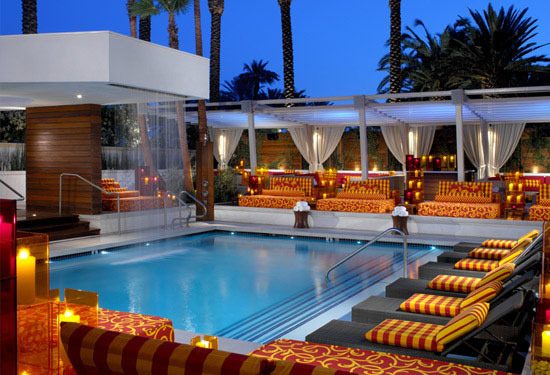 Legendary for its epic nightlife, crazy party scene and celebrity appearances, Palms Casino Resort is particularly popular with the college aged scene. Guests can take their pick of several swimming pools to party it up during the day and at night they have the choice of multiple night clubs and glamorous bars. And even if you aren’t the partying type you may still want to pay this resort a visit as it hosts many celebrated restaurants, including N9NE Steakhouse and NOVE Italiano. 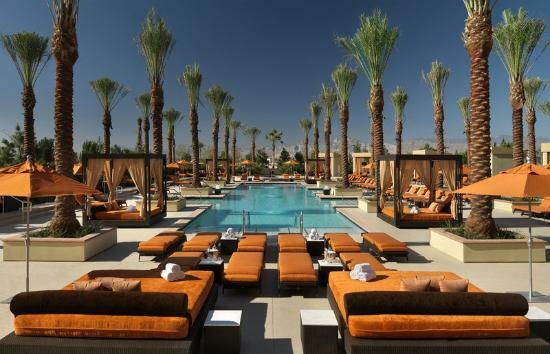 Located in North Las Vegas the Aliante Casino + Hotel offers a reasonably priced yet luxurious stay. Guests enjoy a gorgeous pool scene, immaculate hotel rooms, a plethora of gaming options and multiple bars to choose from. And foodies are in for a definite treat here, as there’s many restaurants onsite including a casual Mexican eatery, an all you can eat style buffet and several upscale restaurants. If you’re looking for a fantastic Vegas vacation minus the hefty price tag, be sure to consider Aliante Casino + Hotel. Stay at one of the above glamorous off the Strip casino resorts next time you’re in town for an amazing Vegas experience. Offering affordability, fun times and of course luxury all are great picks. Enjoy!